Version 3.1 of Microtran has been superseded by version 3.2. The description of version 3.1 follows for the sake of reference. 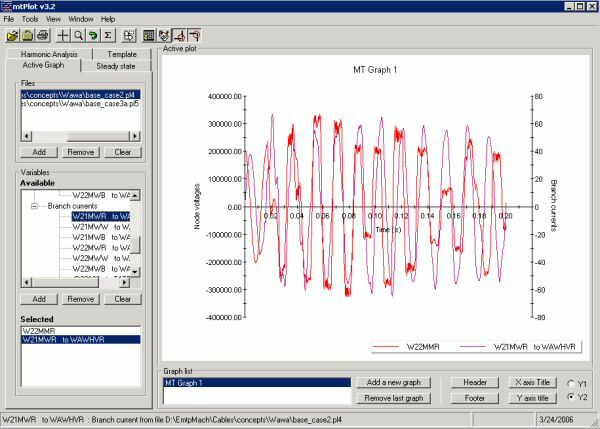 This is the simulation tool for the simulation of electrical networks under transient conditions. It is the fastest PC-based network analysis programs presently available. MicroTran is very reliable and efficient. : a network consisting of 2000 nodes and 2000 branches requires less than 2 MB of memory. Lumped R, L, C elements. Single and three-phase n-winding transformers. Transposed and untransposed distributed parameter transmission lines with constant or frequency dependent parameters. Nonlinear resistances and surge arrester models (including metal oxide arresters), as well as nonlinear inductances with user-defined residual flux. Switches with any number of opening/closing sequences, and other switching control criteria to simulate circuit breakers with multiple closing- opening sequences, spark gaps, etc. Diodes, thyristors, and anti-parallel thyristor models with either fixed, or user-defined firing controls. Voltage and current sources. In addition to standard mathematical functions (sinusoids, surge functions, steps, ramps), the user may specify sources point by point as functions of time, or calculate them inside the user-supplied subroutine SOURCE. Synchronous machines with armature, field, and damper windings. The model also includes a shaft- mass system representation for the simulation of torsional oscillations. Initial conditions can be determined automatically by the program or they can be supplied by the user. 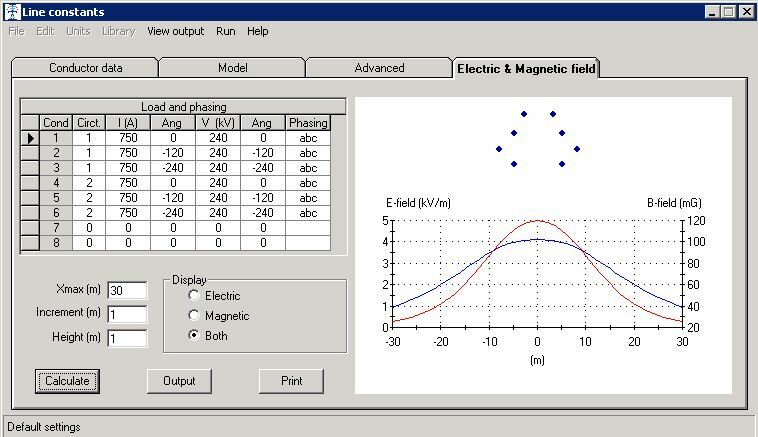 The program can also be used to obtain steady-state phasor solutions at a given frequency or over a user-defined frequency range. The "frequency scan" capability is particularly useful for harmonics, resonance and subsynchronous resonance studies. 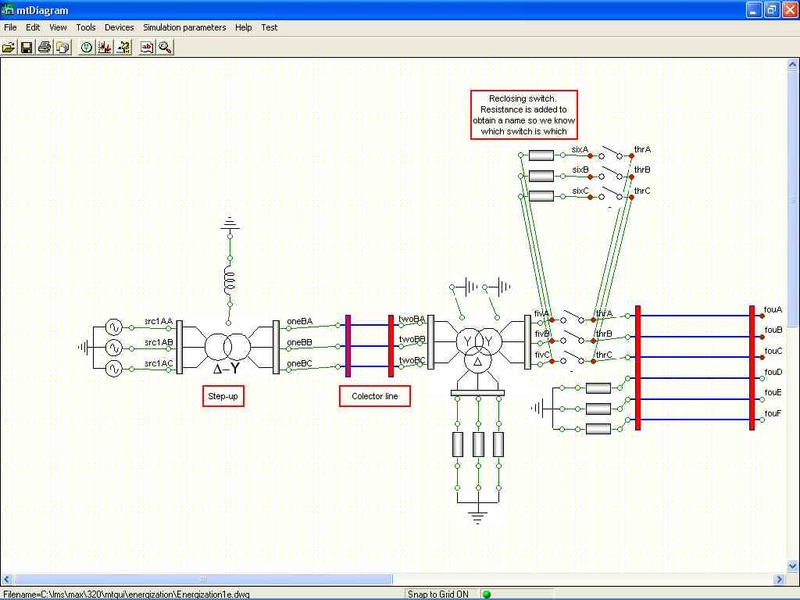 User-supplied linear or nonlinear models using the entry point routine CONNEC. The procedure is quite simple: the user compiles his version of CONNEC with any compiler capable of creating a DLL. A sample version of CONNEC and detailed interface information is available to would-be developers. Unlike other versions of the EMTP, such as the ATP, MicroTran does not suffer from numerical oscillations during the opening/closing of switches in inductive and capacitive circuits, respectively. This makes MicroTran ideally suited for the simulation of power electronics devices without having to resort to snubber circuits with unrealistic R-C values, and other traditional forms of suppression of numerical oscillations. Context-sensitive help with a substantial portion of the Reference Manual readily available on-line . Easy-to-assemble devices such as transformers with built-in defaults and data sanity checks. Automatic scaling in linear and/or logarithmic scales. 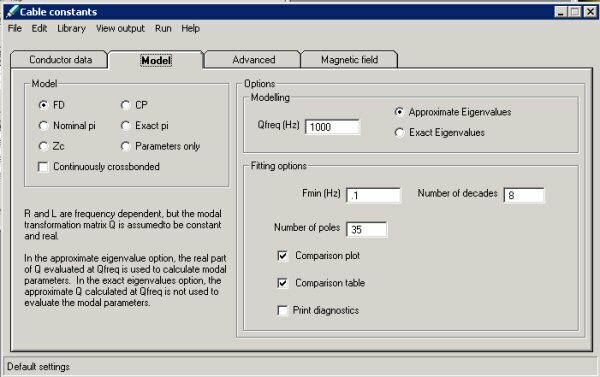 Calculation of series impedance and shunt capacitance matrices of overhead transmission lines with an arbitrary arrangement of up to 100 phase conductors and/or ground wires. Output in phase or modal quantities or as symmetrical components. Elimination of ground wires and bundling. Multiphase pi-circuits. Calculation of mutual impedances between power lines and communication circuits for interference studies. 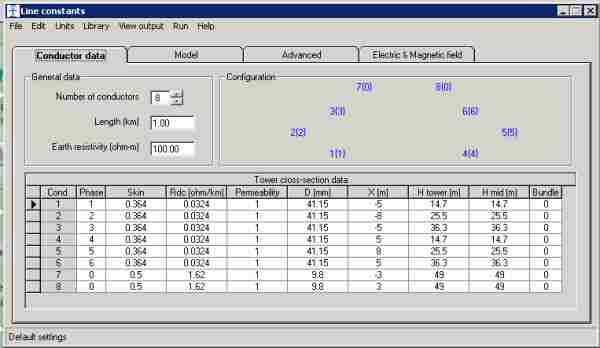 Calculation of the electric field strength below transmission lines. 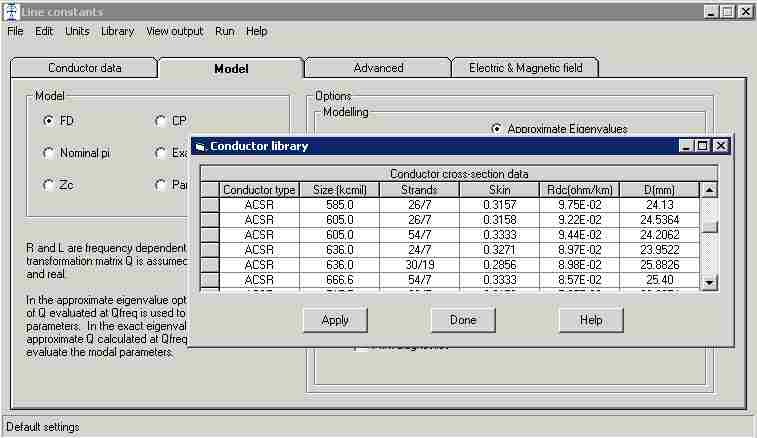 This program provides support for the modelling of frequency dependent overhead lines. MicroTran's frequency dependent line models can accurately take into account line asymmetries, skin effect and the effect of the ground return path and variable depth of penetration. Version 3.20 includes a new cable constants support module as well as major upgrades in Mtline, Mtplot and the new Graphical user interface Mtdiagram. Library conductor and tower management functions are integrated into the user interface. The package comes populated with typical commonly-used conductor and tower types. However, they can easily be changed or added to the library to suit specific needs. This capability is very useful for quick EMF assessments! This is a new support program for the calculation of slef-contained direct buried underground cables. The user interface is very similar to that of version 3.2 of Mtline. 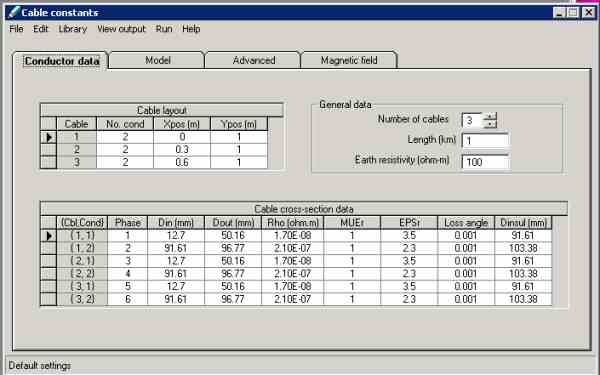 Since the electric field (above ground) of a buried cable is zero, only magnetic field calculations are available. Optional dual Y-axis to compare parameters of dissimilar magnitude in the same graph. Harmonic analysis (based on the old character-mode utility harmonic.exe). The main command console has been streamlined for ease of use. The concept of a "Microtran project" has been simplified for additional ease of use. 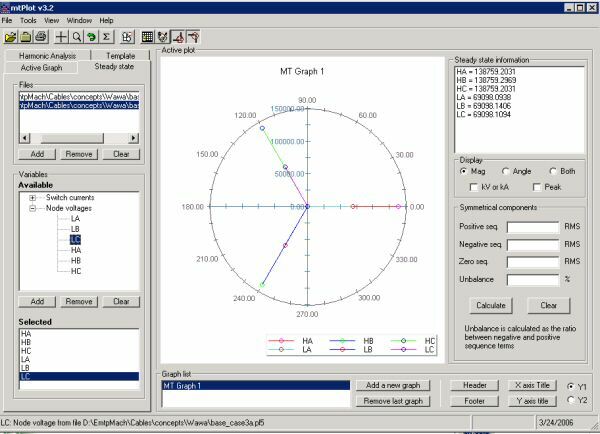 Mtdiagram is a fully featured network schematic drawing tool and graphical user interface. All of Microtran command modules are integrated seamlessly. The easiest way to catch a glimpse of the features of Mtdiagram is to download and view the introductory tutorials.. The following pricing information is given in US funds. Payment via direct bank transfer or with PayPal. Credit cards cannot be processed. Detailed payment instructions are provided along with the invoice. Starting in 2006 only the downloadable version of the package is available for purchase. This means that only electronic versions of the documentation in pdf format are distributed with the package. Discounts are given to educational institutions. The EMTP Theory book and hardcopy documentation can be purchased separately, although some restrictions apply. Please contact customer support for details. With the purchase of a standard MicroTran license, users also receive 10 hours of consulting time. 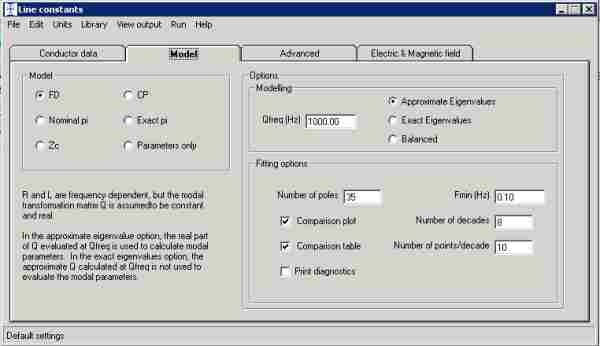 This service can be used for advice in modelling issues, or to ask any engineering questions pertaining to power system modelling. For complex problems requiring more than 10 hours of engineering time, Microtran Power System Analysis Corp. also offers consulting engineering services at very competitive rates. Please contract customer support for details. Compatibility issues with Windows XP have been solved. EMTP Theory Book, second edition in pdf format. Completely re-written version of mtPlot with a professional 32-bit underlying graphing engine. User-supplied routines are can attach to MicroTran via compiler-independent DLLs. Software protection moved from hardware to software keys (for single-user licenses). Compatible with Windows 98, 2000 and XP. Node naming. By default node names are case insensitive and internally right-adjusted. This should fix many data errors for users who do not rely on mtData for node name right-adjustment. Ideal transformers. Just turns ratio. Very useful in a number of simulation tricks, such as the connection of a voltage source between two nodes. More impulse functions. Short impulses, such as the 8/20 microsecond test impulse for surge arrester testing, cannot be described with the double exponential impulse function. Therefore, two other functions have been added, namely those proposed by Standler and Heidler. A CIGRE Working Group has proposed a new lightning surge function with maximum steepness around 90 % of the crest value. This function has been implemented as well. Comprehensive error messages. All error messages have been revisited and substantial explanations are given to help users understand and debug data cases that refuse to run correctly. Enhanced library of test cases. The standard library of test cases now include more cases to test and illustrate features of the program as well as practical simulations for power systems and power electronics. Device modules. This feature allows the creation of standard modules to which one can pass parameters such as node names or any other data. Node names local to each module are looked after automatically, so that the same module with different parameters can be used in different parts of the data case. A given module can have linear elements, sources, switches, voltage output requests. This means independence of correct positioning of blank cards within the data case. The old data file structure is supported for backward compatibility. Portable Windows bitmap files, also suitable for import into any document. 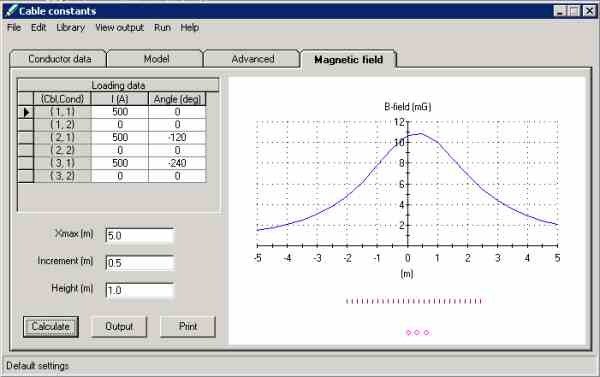 A first-generation Windows-based plotting program is also provided. This means hardware independence as far a viewing and printing is concerned. Of course, the old mtPlot will still be supported for those users who like its simple but powerful character mode interface.